Self Love requires finding Purpose in Serving humankind. In other words, leadership starts with authentic self-expression that adds value through relationships. Leadership excellence is a function of the love one finds in the pursuit of a compelling and sometimes irrational dream. 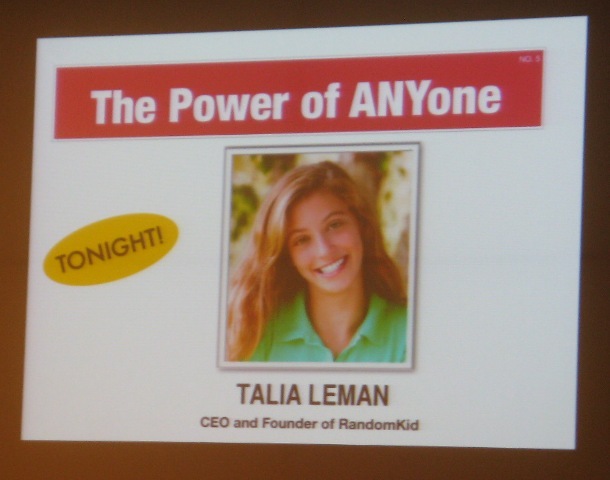 Young Talia Leman came up with an effective business model that empowers kids to solve global problems when she was only 10 years old. Even she admits she didn’t know what her goal meant at the time. What you do (as a leader) merely serves as the proof of what you believe. People don’t buy or follow WHAT you do, they buy and follow WHY you do it! Even Forrest Gump had hundreds of people who followed him as he ran across the country, not because they wanted to run (what he did), but because they wanted to experience running with him (why he did it). We are not always rational about following leaders, and leaders aren’t always rational about where they are leading. “True leaders exceed all rational expectations,” as my friend, Russ Hagberg, says. Russ is the retired senior vice president and chief of staff for Santa Fe Industries and Santa Fe Railroad. Russ reminds me that when president John Kennedy challenged Americans to “go to the moon” by the end of the decade of the 1960s, he was irrational! But he was authentic and believable to enough people – the right people – to achieve what many people thought was impossible; and it happened long after his tragic death. What is your dream? Where do you really want to go that you’ve never been before? What must you tear down or build up to get there? What keeps you running? What do you love and believe in so much that, even though it may currently seem just beyond your reach, brings Cause to your every thought and action? The measure of a leader is not just about enlisting people in a quest for new results. The measure of a leader is about enlisting people in a quest for a whole new world. Leadership is about enlisting people who choose to engage in a dream – even with their discretionary actions. This entry was posted in dreams, Forrest Gump, irrational, John F. Kennedy, leadership, Martin Luther King, measure of a leader, Purpose, Ronald Reagan, Talia Leman, why. Bookmark the permalink.